Explore the magical Mediterranean with Azamara. Enjoy exclusive discounted fares* when you book on select Mediterranean Azamara cruises with Cruise Guru. PLUS, pay just $10pp deposits on sailings departing after 10 September 2019*. 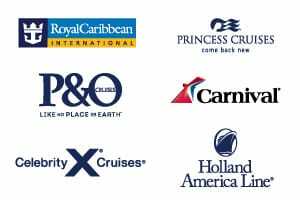 View applicable exclusively discounted cruises below, or view all Azamara cruises from Australia, check out Azamara’s Buy One Get One up to Half Off sale, visit Azamara Cuises for more options or use our Cruise Finder to search for your perfect Azamara itinerary. Alternatively, review all other cruise deals. AU$10 per person deposits are exclusive to Cruise Guru. Deposits are non-refundable and non-transferable. No further payment is required until the final payment date as specified on your invoice. Not all sailings are eligible for this reduced deposit initiative. Deposit will be collected at the time of booking by credit card, no direct transfer is permitted on this promotion. Final cruise balance will automatically be debited on the existing credit card on file unless otherwise advised prior to final dates. Cruise Guru reserves the right to withdraw this promotion at any time without prior notice. Promotion ends 30 Apr 2019 unless sold out or withdrawn prior. Further conditions may apply. Azamara and Cruise Guru exclusive discounted deals: Valid for new bookings only. Subject to availability and may be withdrawn at any time without notice. Valid until sold out.